Starting the Adventure – seven months of fund-raising, training, and team building. Getting it All Together - eight months of anticipation and training including monthly crew gatherings and four Advisor Briefings. Are You Ready? - two months to put your training to the test, and fill any gaps in it. Traveling and Touring - a fun-filled two-day tour of the front range of the Rockies in Colorado, including a ride on the famous cog railway to the summit of Pikes Peak and a fantastic nine-mile Class III and Class IV whitewater rafting trip on the Arkansas River. Your Philmont Trek - twelve days backpacking on the backcountry trails of Philmont Scout Ranch in the spectacular Sangre de Cristo range of the Rockies. The entire program is described in detail in the Crew Member and Parent Guide provided to each participant, and the Advisor Guide provided to each adult advisor. Watchu was a New Jersey Native American Lenape Chief according to stories told around Allamuchy campfires. Years ago Patriots’ Path Camp Wheeler was named Watchu. When that name was changed to honor a long time Scouter, we, the training team picked up the name. These days it is only used by the Philmont Training team. 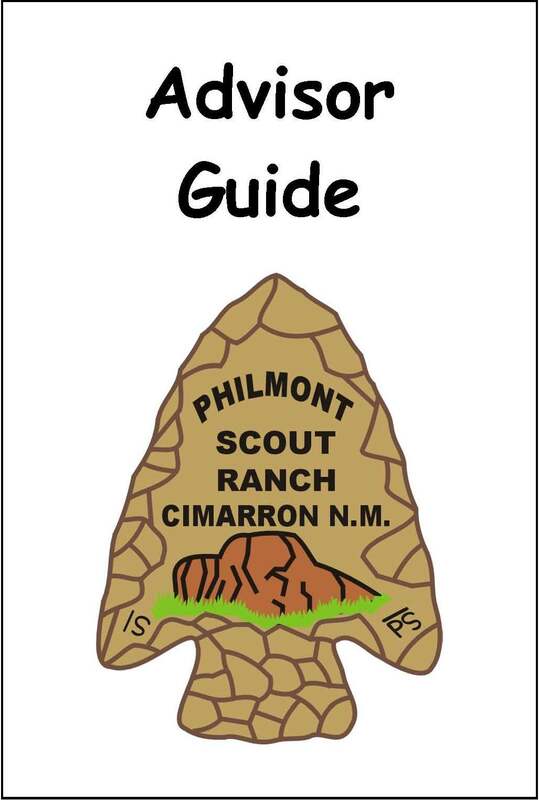 We use it to distinguish between Philmont and Patriots’ Path requirements, literature, and regulations. Hence, a Watchu requirement is most likely something our council requires and Philmont may not, as in “You are expected to attend the Watchu Mountain Adventure in May”. The Watchu guides are issued by Patriots’ Path. 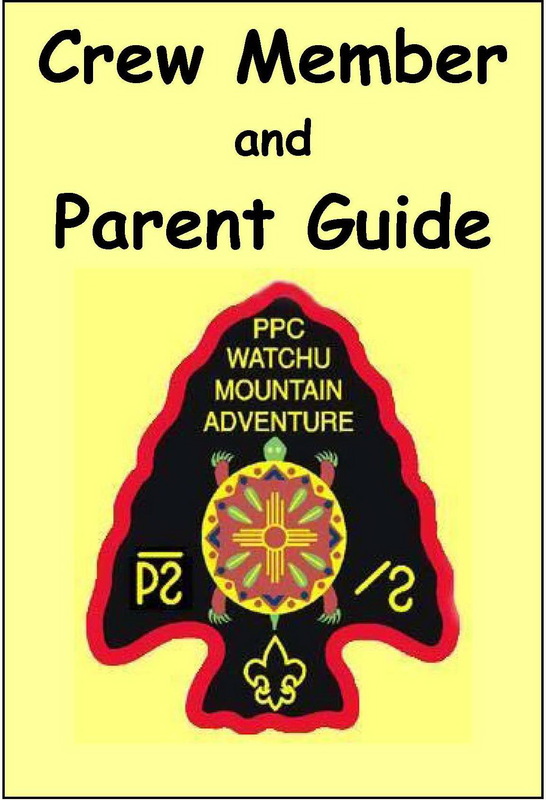 The Philmont Guidebook comes from Philmont and so on. Welcome to the Watchu Mountain Outfitters trading post. A variety of Watchu gear is available to members of the Patriots' Path contingents - click HERE to enter the trading post. Every purchase of merchandise helps to contain costs for all Patriots' Path contingent crews. All profits go directly into the Watchu program; strictly for the benefit of the Watchu/Philmont participants. Merchandise for Patriots' Path expedition members only! Chief Watchu communicates with advisors of Patriots’ Path contingent crews by e-mail. There are three types of messages - Watchu Alerts, Watchu Grams and general. Watchu Alerts include reminders for upcoming Watchu events as well as "up-to-the-minute" notification of changes to Philmont or Watchu information. Watchu Grams summarize the information provided on this Web site, keyed to the calendar and the things crews should be doing to prepare for their trek. 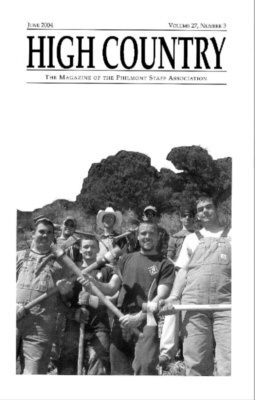 They represent more than 50 years of Philmont experience and are provided to assist the advisors in their effort to guarantee an outstanding Philmont experience. Watchu Grams also contain historical and other information crews in prior years have found interesting and useful, and enhanced their Philmont experience. General messages contain information that may be of interest to advisors and crew members though not necessarily related to Philmont. In general the Watchu Network is an efficient means of providing information. However, at times there are issues with Internet service providers (especially Comcast). If you are missing a particular Watchu Gram, click on the button below to see all that have been sent to date. If you are an advisor and not receiving Watchu Grams, let Chief Watchu know by clicking HERE. In addition, each crew is encouraged to create their own Family Network by including all crew member families in a single group within your e-mail address book. This will bring the youth and family members of the crew into the Watchu Network. Watchu Grams should be distributed to all crew members, as well as your own crew-specific messages regarding meetings, shakedowns and other crew activities. Share the responsibility of digesting this information. We know it works, try it. Each member of a Philmont crew is asked to sign the Philmont Wilderness Pledge, which declares that he or she will do everything possible to preserve the beauty and wonder of the Philmont wilderness and facilities through good Scout camping. It is expected that Philmont campers will carry this pledge to all camping areas that they might visit throughout America. Each member of Patriots' Path Philmont contingents is asked to sign the Watchu Wilderness Pledge, which focuses on the first point of the Philmont pledge – litter and graffiti. Throughout the ten months of the Watchu Experience, while on shakedown activities, the Watchu Mountain Adventure, the Colorado Tour, and at Philmont each crew member is expected to mitigate litter and graffiti problems caused by thoughtless campers before them and (of course) not contribute to the problem by creating more. Remove impromptu "memorials" such as crew numbers spelled out by arranging rocks. The Watchu Team is committed to helping to eliminate these problems in the future by highlighting the first point of the Philmont Wilderness Pledge throughout the Watchu Experience. Preparing a crew for the great adventures known as Philmont can be many months of fun-filled preparation, anticipation, planning, and teenage scouting. Learning the skills of backcountry living, health and safety, physical training, and backpacking are a few of the important areas every crew must address. The Watchu Mountain Adventure (WMA) is designed to play a critical role in each crews' preparation process. The WMA is held the first weekend in May. It is a weekend of simulated Philmont experiences; including camping, cooking, backpacking, and backcountry living. One of the highlights is a “rugged” 8-mile hike designed to test each crews' hiking readiness. All crews and all crew members are expected to attend. Often the Watchu Mountain Adventure is referred to as “a mid-term exam” because Watchu serves to define the “gaps” between “where the crew is in it’s preparation ” and “where it needs to be to be ready”. It is a weekend of self-evaluation. Each crew returns home with a concrete list of gaps which must be closed during the remaining weeks before leaving for New Mexico. These gaps define the final weeks of crew development and training. According to Chief Watchu, closing the gaps will assure a wonderful experience. It is expected all participants will find the Watchu Mountain Adventure challenging, exciting, fun filled, and most of all, inspiring. Welcome to Watchu!